JanParkerArts.com - Welcome to Jan Parker Arts! Welcome to Jan Parker Arts! Web sites are just another part of our daily life, and I'm sure this this isn't the first site you have ever been to. So, like they said on answering machines back in the 80's. "you know what to do". Click around, gather information, read insights, and articles. Check out the beads, Tai Chi and Qigong CD's and flash drives. Buy something! This web site is a lot like Tai Chi ever changing, fun and interactive. There are two branches to this site. Internal Arts and Glass Arts. Please visit both. I was told that if someone read this far - I was lucky, so I'll say thank you right away and if your attention just wandered - click around and look at another page, there are lots of them. If you want to know more, read on. I post daily on Jan's Notebook. I hope you bookmark it and visit often. Some of my students have shared their insights under The Student Writes and writings from years past are posted in the notebook archives. Before I go on, I want to thank John, Hansoo and Prashanth at Arkiom. I think they have put together the best web site in the world for me! I am grateful. Thanks! Now for a bit about me. I live on Bowen Island in BC. 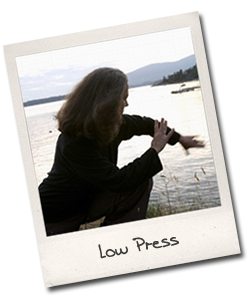 I practice and teach martial arts, qigong, and glass arts. 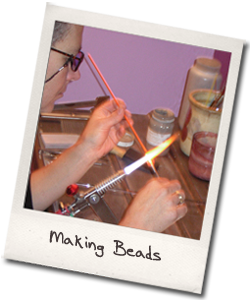 I specialize in qigong as a healing treatment for substance addiction, tai chi as a traditional martial art, and I make unique glass beads. There is a sign in my office that says, "You either practiced today or you didn't." That's my reality. I'm all about practice and yet, I find being rigid closes my heart, and dampens my spirit. To keep these arts interesting, I ask myself often why I do what I do. That question keeps my work, my day and my life interesting. Because each day, the answer is different. I love having fresh eyes and a good foundation. They are the heart and soul of any art. Tai Chi and lampworking are my arts of choice. And as with any art, I see I am required to let go of a set of pre-determined instructions and allow what is authentic in me to shine through. I strive to combine innovation with tradition in both of these practices. This web site is a vehicle for exploration, information and fun. Keep checking back for new articles, stories and of course beautiful baubles!